How lucky can I get? I'm so lucky that my charms has not gone yet. At least in joining contest anyway. Had my ups and downs, but then again this is what I got so far. 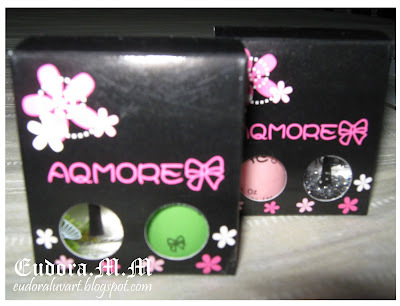 Won a Aqmore Nail Polish set. 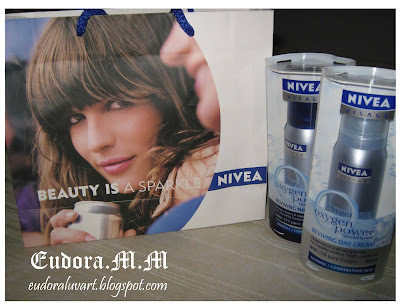 This is probably the first prize ever I got from TiC. 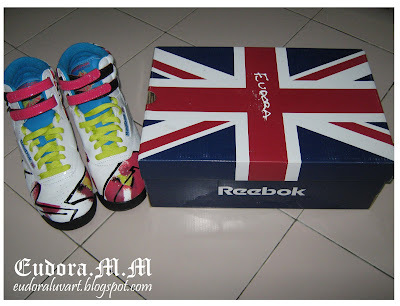 A colourful funky shoes from Reebok. I actually won the Scarlett Johanssen range, but they ran out of stock for my size and I've agreed to accept this as a change. I've tried several times winning chances here till now. 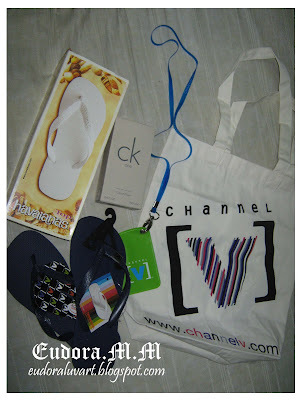 At last they were kind enough to let me win the grand prize for the Channel V Merchandise. an instrumental Tosca cd all the way from Hong Kong. 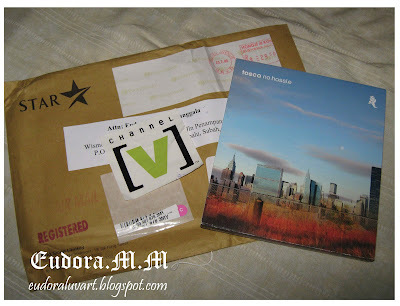 It's been a while since I last receive a parcel from overseas. Geez...I'm so sad coz I've been waiting to watched it but...Huhu...I actually missed my very own choices of songs on Channel V Playlist? Darn it! The letter I got from Tommi Chan, Star HK. A big thanks for submitting an awesome playlist to CHANNEL [V]! 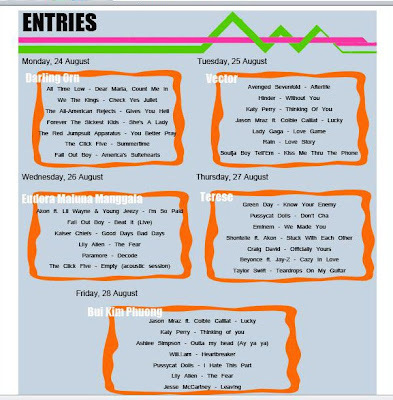 Your personal playlist will go on-air on 26th Aug at 9PM HK/ 10PM MAL and be repeated on 27th Aug at 12:30AM HK/ 1:30AM MAL, 8:30AM HK/ 9:30AM MAL, 4PM HK/ 5PM MAL. So keep your eyes peeled and ears open for your songs! Don't forget to check out www.channelv.com for exciting new updates and contests! A bit of recap from the past. 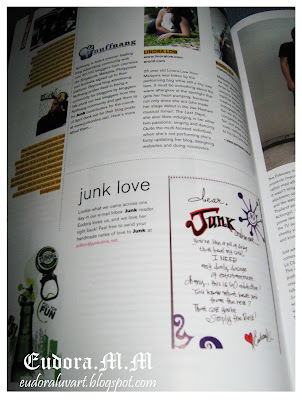 I gave Junk magazine some love last March & here is what they gave me in return. 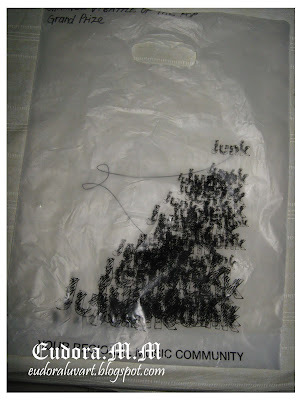 My so-called love letter was featured in the last April issue. ApriltheEditor told me about it and I managed to grabbed a copy of it during my trip to KL. Wheee! That was my first featured in a magazine ever. Spot me in the magazine! During the Breeze Magazine Readers Reap Rewards held at the CUBE restaurant. Can't exactly remember which magazine issue was it though. 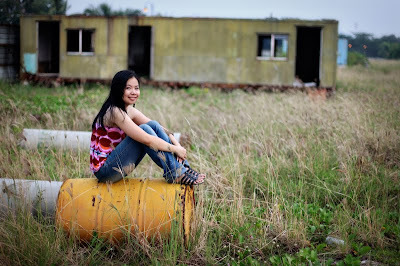 ...Yes, my virgin portrait session with an awesome photgrapher! It was actually my 2nd time meeting her. Met her in one of my cousin's wedding reception earlier on. And I get to pose with the stuffs I won from Elevyn.com as well. Can't wait for the rest of the pictures!